For 28 days it burned. Swallowing cords of word, the flame became a member of the tribe, a confidant to prayers, and promise of renewal. It was fed by stories of hurt and despair. Day after day, the faces who came changed - except for one. Brandi Eastman Decoteau ignited the initial flame of the Sacred Fire in Sisseton on November 22, 2017. This flame of warmth and hope is relatively new to Brandi. family, resulted in a stand-off of wills. Brandi quit school and started on her own dark journey. Twice her life was threatened by men she did not know. She was stalked at her casino job. Another entered her bedroom with a weapon. This fear lead to using marijuana and alcohol to numb her PTSD. Next came a heartbreak. “I didn’t want to feel. I didn’t want to live. I didn’t know it was going to take me to hell, but then again, I was already in hell,” Brandi confessed. She went to her sister’s looking for meth. It was a deliberate decision. She had crashed and was ready to burn. Within a month, Brandi was homeless. 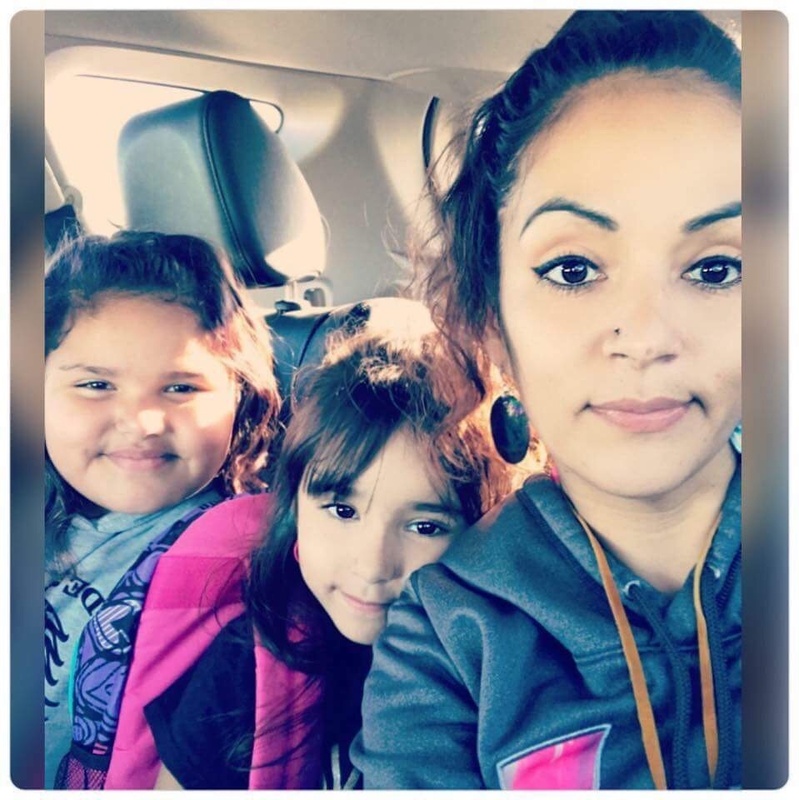 One at a time, she lost custody of all three of her children. Mirroring those moments of her youth were days of being held hostage and beaten. Stealing—cars to food—led to arrests. It was shooting up meth in a car across from the police station in Sioux Falls that landed Brandi her first felony offense. Bonds, 24/7, treatment, felony escape, half-way houses, loaded needles were all things that came and went in Brandi’s first years of trying to find sobriety. That flame of addiction burned hot. “As addicts, feeling helpless is our biggest trigger; addicts want it and want it now. I was no different,” Brandi admitted. So, realities like a death of a grandparent or the attempted suicide of a brother stirred her cinders of hurt and helplessness. Again, she reached for meth. That was it. She was ready to rid herself of her demons and go home. It was time to snuff out that angry fire raging within and replace it with one radiating love. During her first months of recovery in Sioux Falls, Brandi began volunteering. Specifically, she started to tell her story. From the stage at addiction conferences to high school classrooms, this quiet, Native woman began to find strength with her own voice. She continues to share her history and story of recovery to shine a light on the potential path of sobriety for others. One by one, she regained custody of her children. Brandi shared, “My daughter was 4 when I left. When I finally had her ‘home’ again, she said, ‘Mommy, I couldn’t remember your face. It is so beautiful.” The love of her children and new husband motivates her; she works daily and diligently to live a life with a clear mind and an open heart. Brandi is a beacon of light in her community of Sisseton. She began a support group that was all inclusive – not anonymous. Each Monday, Brandi opens the door to everyone: using addicts, recovering addicts, children, extended family, and friends. No one is turned away. They share a meal. They share their stories. They share encouragement. They share acceptance. They share hope. The healing happening in these weekly meetings, sparked Brandi’s next idea – to start a Sacred Fire in Sisseton. Brandi was inspired by the Sacred Fired Movement that found its first flicker in North Dakota’s Fort Berthold. 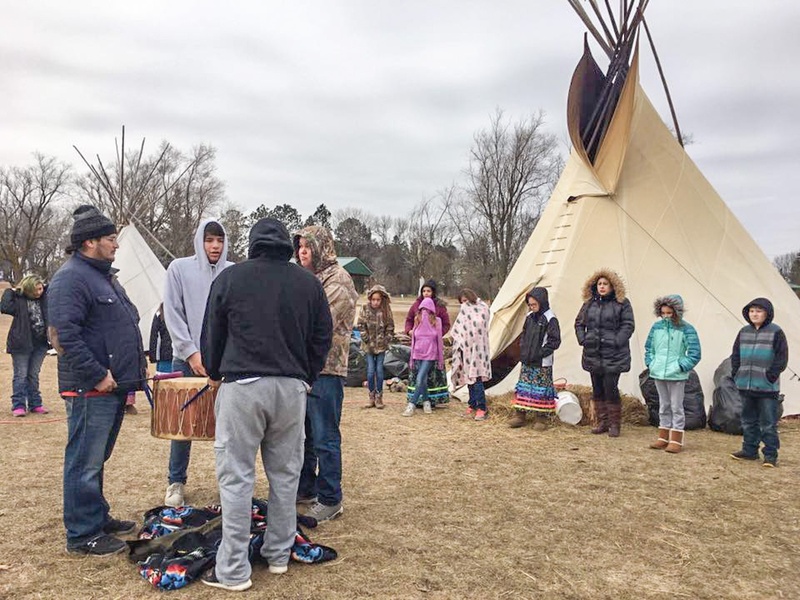 The Sacred Fire is explained on social media as being “a gift from the Creator,” the flame is to there to devour those things that threaten the future generations of the Native Nation such as unhealthy lifestyles, addiction, and abuse. Sacred Fire was the 5th in the movement. Since then, these fires created to fight addiction have been lit on Pine Ridge, Rosebud, Eagle Butte and Standing Rock. It has also spread from the Dakotas to Oregon and Montana. There were too many stories of parents exhausted and heartbroken by the early deaths of their children. Tears could not drown out the flame. Instead, Mother Earth exhaled the fire and its warmth back into their hearts. The Sacred Fire was a literal baptism by fire; the rebirth was real. Brandi extinguished the Sacred Fire on December 20th. “It was draining,” she confessed. “However, healing has to be done out loud. I saw people pray for the first time.” Brandi wakes each day with a match lit under her, searching for more ways to spark her community in healthy healing. She dreams of opening a safe house for women and children in Sisseton. Furthermore, Brandi uses her social media to inspire and invite. Just recently, she posted a quote that reads, “She’s powerful. She’s a force capable of carrying out the work of her ancestors.” Brandi Eastman DeCoteau is powerful. She is a force. She is a phoenix who has risen from her ashes of addiction. 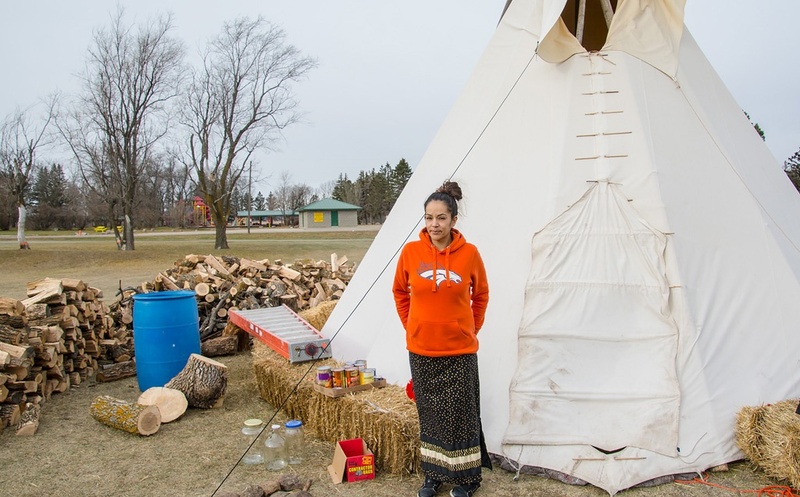 She honors her ancestors and shines hope to this and future generations. Native Hope exists to dismantle barriers and inspire hope for Native voices unheard. We invite you to join us on this journey of discovery and and unity.